The 2015 season has been filled with smiles on the field, but challenges off for the Ohio State Buckeyes. Ohio State and Michigan State are indisputably successful on the football field. The record is a combined 19-1 as they prepare for their Saturday showdown in Columbus (3:30 PM ET, ABC) and it would be a perfect 20-0 if not for a terrible officiating blunder that cost Michigan State a win at Nebraska. But the Spartans and Buckeyes haven’t been so good to their backers at the betting window—a combined 7-13 against the spread (ATS). Michigan State is the slightly bigger offender, going 3-7 ATS to Ohio State’s 4-6. 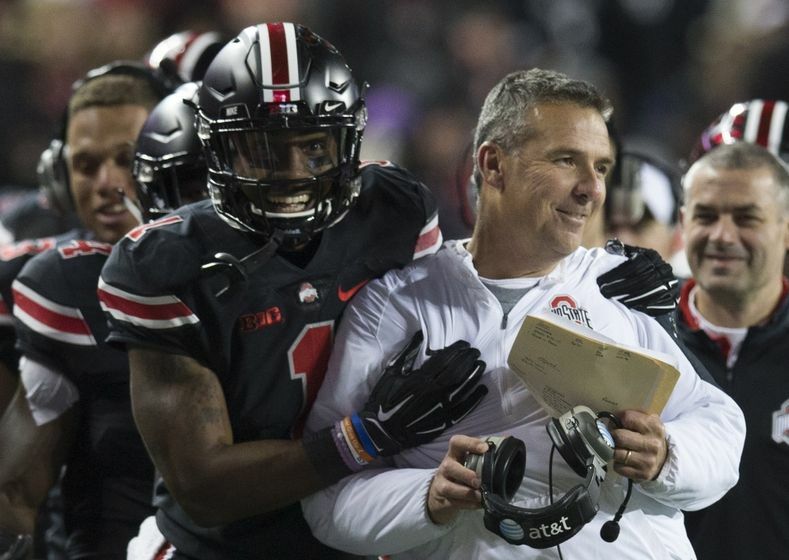 But for Saturday’s game that can be cancelled out by the fact the Buckeyes have been atrocious bet at home, failing to cover in five of six home games. It might sound harsh to call this game a battle of the overrateds, but ATS numbers like that make it difficult to dispute. The spread reflects how the teams are ‘rated’ by opinion that is informed (though not infallible) and coldly objective and these two haven’t measured up. Maybe expectations were unreasonably high—when you see Ohio State (-13) against a team one point away from being undefeated themselves, it’s enough to make you wonder if these programs simply haven’t been bet past the capacity of any normal college football team to deliver. It happened to Alabama and Florida State last year, who covered a combined five spreads in the 2014 regular season, and it’s happening in Columbus and East Lansing in 2015. Greg Ward Jr. has led Houston to a perfect record both by passing and running. The Houston Cougars have quietly kept winning games all year long. They’re now 9-0 and poised to make a move at the getting an automatic bid to one of the six major bowl games played on December 31-January 1. From the perspective of sports bettors, Houston has been good to us, covering the spread in six of their nine games. Now they get to play some spotlight games that will be fun to watch and fun to wager on. The first one is Saturday night at home against Memphis (7 PM ET, ESPN2). Houston has flirted with some national prominence in the past, and always on the strength of a prolific quarterback and a high-scoring offense akin to what we say in the Big 12. In recent years we’ve seen it with Case Keenum. Some of us can turn back the clock and remember when it was David Klingler or Heisman Trophy-winning Andre Ware blowing out the scoreboard lights. But this Cougar team is different. Now it’s about running the football in Houston and both quarterback Greg Ward Jr. and running back Kenneth Farrow are adept carrying the ball. The Cougars have consistently dominated rushing yardage totals throughout the season. Their first big win, a 34-31 upset at Louisville on September 12 as a (+13) underdog was keyed by a 226-70 advantage on the ground. The pattern has held throughout this magical season under first-year head coach Tom Herman. Houston rolls up the yardage on the ground and for the most part, they’ve done good job defending the run. There have been some trouble spots—SMU got them for 151 yards, but the Cougars control the trenches. A byproduct of this is that Houston consistently wins the turnover battle. Running the ball is the safest way to travel, and when you can do it while your opponents can’t, it stands to reason that they’ll be the ones making the most mistakes. This emphasis on the run doesn’t mean the Cougars can’t throw the ball though. Ward has a 70 percent completion rate and that has not come at the expense of big plays. 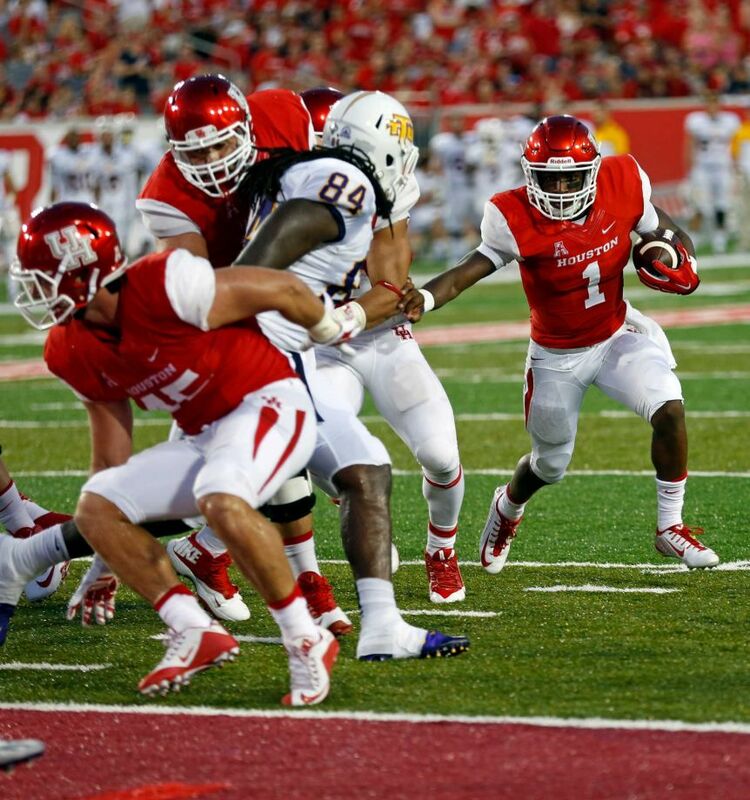 The Houston quarterback generates an outstanding 9.1 yards-per-attempt, with his primary target of wide receiver Demarcus Ayers. This is going to be an important part of Houston’s game going forward. In two weeks they play Navy on Black Friday, and no one is going to beat the Midshipmen in a battle of ground games. The Cougars can bring some versatility to the table. 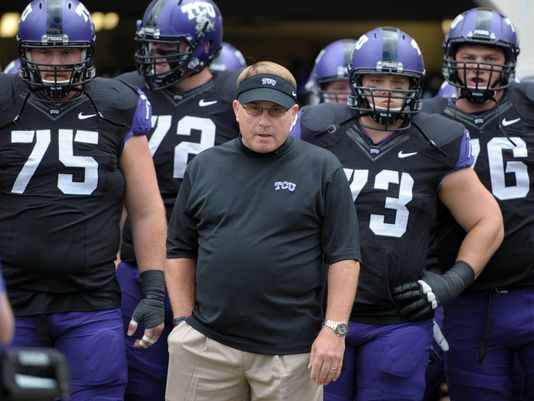 The next month will determine if Gary Patterson and TCU are playoff bound or left out as they were in 2014. BAYLOR: Even with their undefeated record, the Bears are only 4-3 ATS, suggesting that oddsmakers had caught up with them. Even though Baylor has yet to be challenged and scored at least eight touchdowns in six of their seven games, the prohibitive pointspreads have served their purpose and made each game a more or less even betting proposition. But that hasn’t been true for the Over/Under. Even as linesmakers jack the totals up on Baylor’s game to unprecedented levels—witness the total of 89 posted for the October 3 game with Texas Tech—and it still doesn’t matter. The Bears and Red Raiders went over in that game, a 63-35 final and Baylor is 5-2 to the Over so far this season. 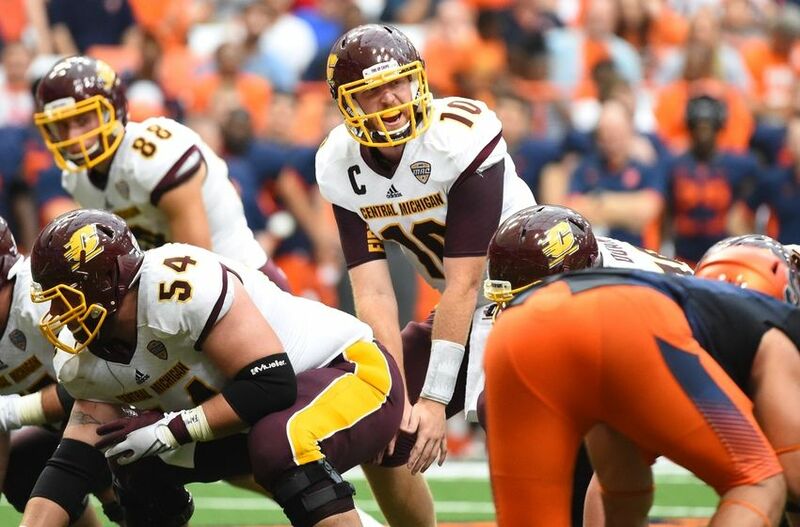 Now comes the injury to quarterback Seth Russell that throws a monkey wrench into everything. Baylor is still a (-17) favorite at Kansas State on Thursday night. Stiff, to be sure, but the Wildcats have yet to win a league game. And what if freshman QB Jarrett Stidham comes through? We’ve seen Ohio State last year and Notre Dame this year absorb injuries to starting quarterbacks and move on as though nothing had changed. Treon Harris has played well since moving into the starting lineup for the Florida Gators. His toughest test will come against Georgia. After two seasons in mediocrity, the Florida Gators are ready to make a splash onto the national stage again. Florida is 6-1 overall and getting ready to for its annual rivalry game with Georgia on Saturday afternoon (3:30 PM ET, CBS). The Gators have blown out Ole Miss, played competitively in a night game at LSU and are in control of their destiny in the SEC East. If Florida wins this game, they’re all but certain to be in the conference championship game come December. And if they keep winning out, they’re all but certain to get a ticket to the College Football Playoff. It’s a welcome case of a program climbing off the mat. Following their Sugar Bowl season in 2012, Florida came crashing to earth. They had a losing season in 2013 and only qualified for the Birmingham Bowl in 2014. It got head coach Wil Muschamp fired and it cost Florida’s backers in Las Vegas some money, as the Gators went 10-13 against the spread (ATS). No one ever disputed Muschamp’s ability to coach defense. 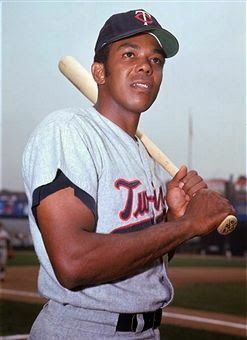 It was offensive ineptitude that did him in and that was reflected in the totals line. In the awful 2013 season, Florida was 4-8 straight-up and also played just four games to the Over that season. This season, even with the defense still being strong and ranking #19 in the country, Florida has gone to the Over four times in seven. After earning the starting quarterback job, Cardale Jones has been inconsistent so far this season. Ohio State and Michigan State have stayed undefeated so far this season, but neither one has played to expectations. In fact, that might be the understatement of the year. If you bet both the Buckeyes and Spartans in every game this year, you would be 1-11 against the spread (ATS)! Michigan State hasn’t covered the number yet this year. Ohio State’s only cover came in the first game of the season against Virginia Tech, and had Tech’s quarterback not gotten hurt, they might be sporting an ATS goose egg of their own. Now, each team will be in the national spotlight this week. Michigan State’s visit to Michigan (3:30 PM ET, ESPN) will be the platform for ESPN’s Gameday. And the ABC prime-time game will be Ohio State’s home game with Penn State, kicking off at 8 PM ET. 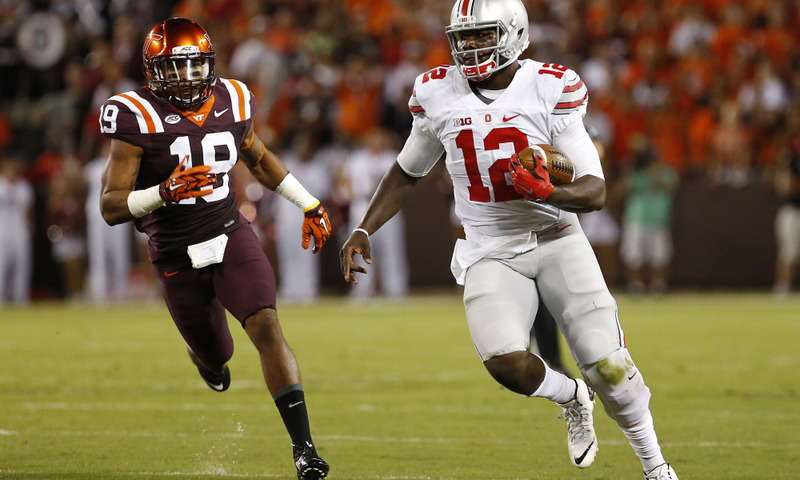 Will the Buckeyes and Spartans see their ATS fortunes change? We’ll begin with Michigan State, whose problems seem deeper and whom has already suffered in public esteem. The Spartans, after rising as high as #2 in the polls a couple weeks ago, has been dropped to #7 without actually losing a game. For handicappers, the more noteworthy development is that Michigan State has lost regard in the betting markets.